With over 100 new dinosaurs species discovered since 2012, Discovering Dinosaurs will make all earlier dino books EXTINCT! The most up-to-date illustrated dinosaur encyclopedia on the market! DISCOVERING DINOSAURS features spectacular illustrations of nearly 140 species, including all of the top dinosaur discoveries through 2015—written and illustrated by two of the world’s top dinosaur experts and artists. 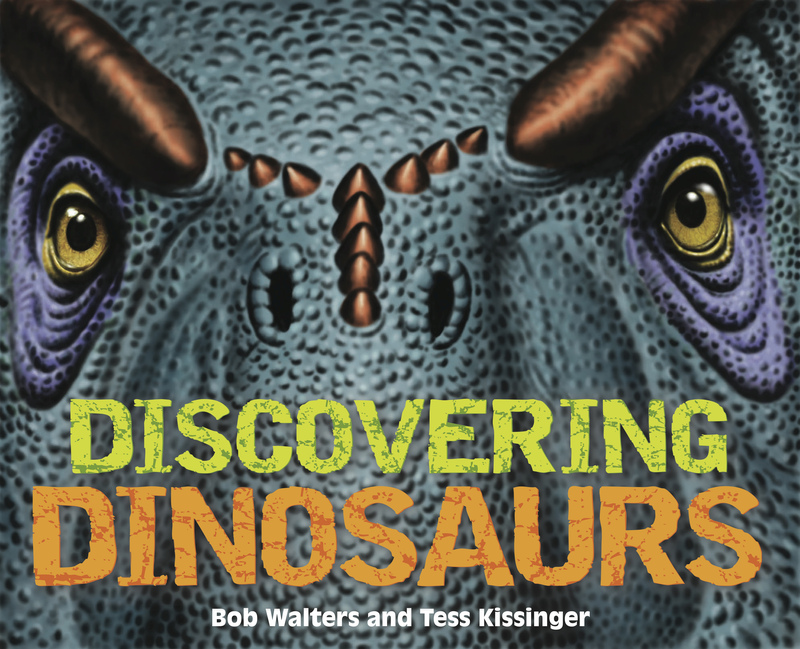 With a stunning oversized format that showcases Bob Walters' and Tess Kissinger’s award-winning illustrations, and a textured dinosaur-skin-like book cover, kids will not want to put the book down! Bob Walters is one of the world’s top paleoartists, with his work appearing in numerous books, magazine and journal articles, TV and films, and award-winning permanent murals in places like the Smithsonian, Carnegie Museum of Natural History, Dinosaur National Monument, and others. He lives in Philadelphia. Tess Kissinger is an award-winning paleoartist, curator, writer and consultant who has worked with the History Channel, The Learning Channel, numerous museums, and the movie Jurassic Park 3. She lives in Philadelphia.